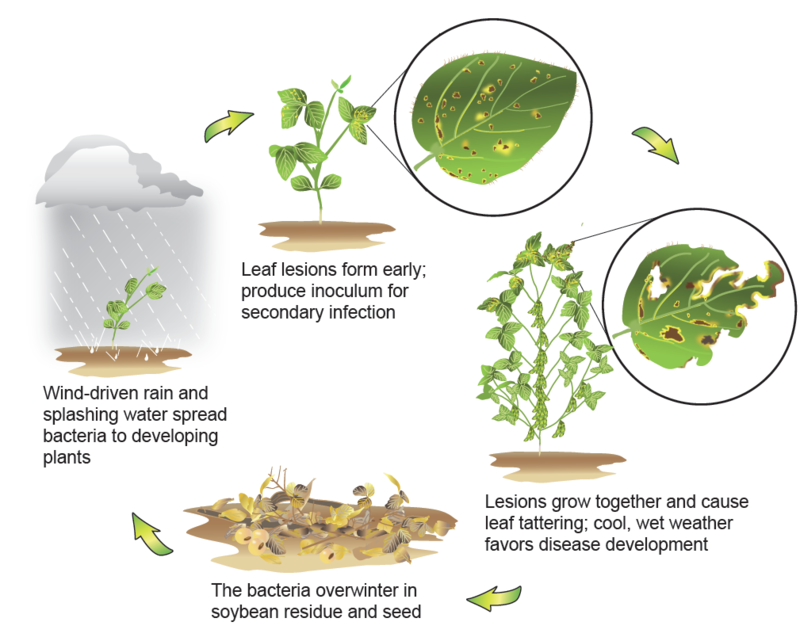 The bacteria survive winters in crop residue and seed and are spread by rain and wind. 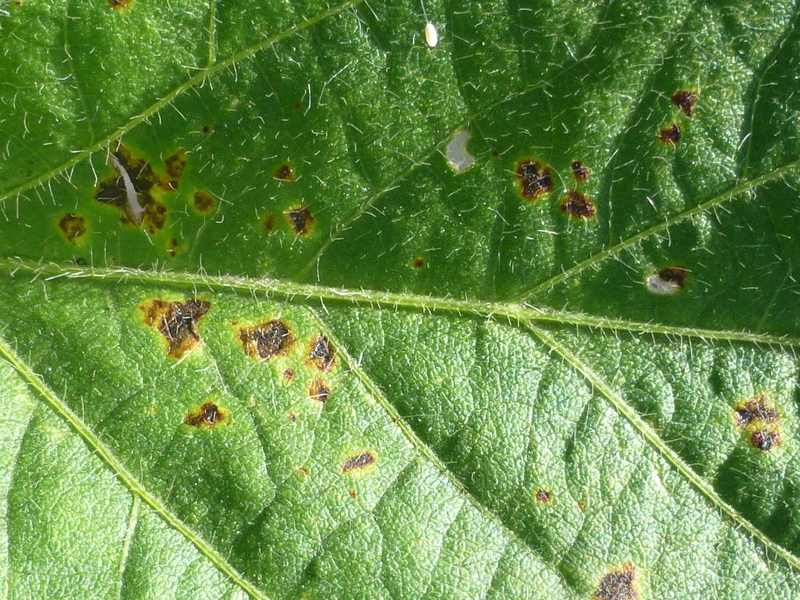 Bacteria can survive on leaf surfaces during the season and infect plants when conditions are suitable. 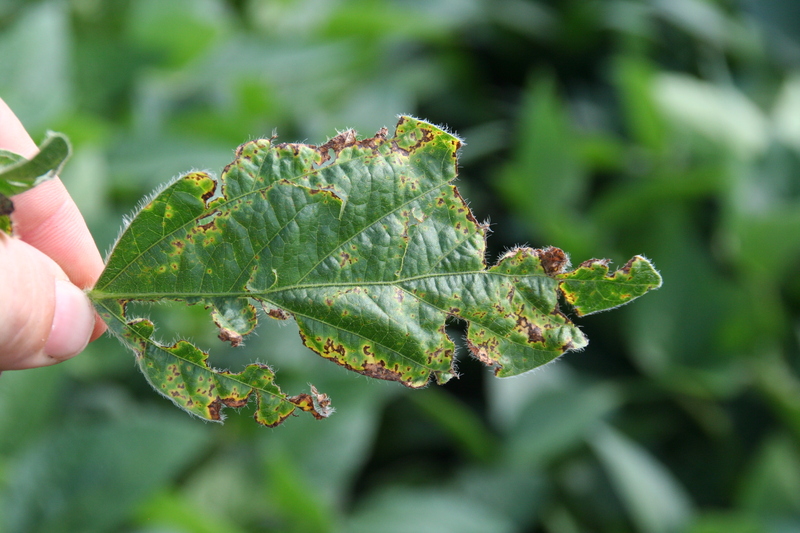 Infection occurs through stomates (natural leaf openings allowing air exchange) and wounds caused by wind, hail, etc. Thus, outbreaks are common after rainstorms with high winds. 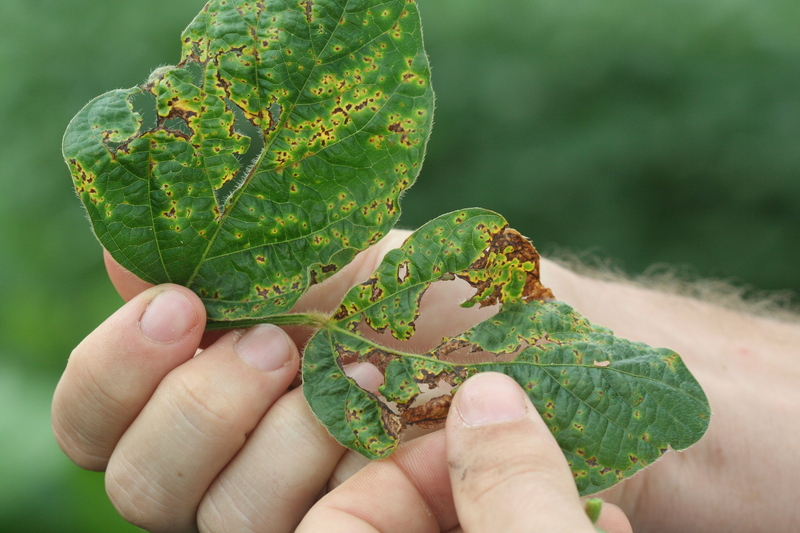 Cool temperatures favor bacterial blight; warmer temperatures will slow or stop disease development. Crop rotation and tillage reduce survival of the bacteria. Non-hosts include alfalfa, corn, and small grains; other legume crops can be alternative hosts. 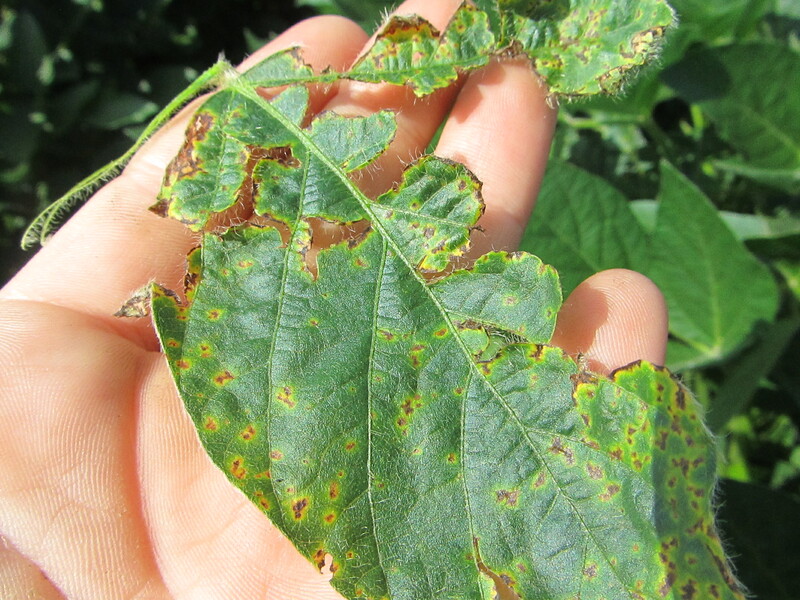 Bacterial blight symptoms usually begin in the upper canopy. 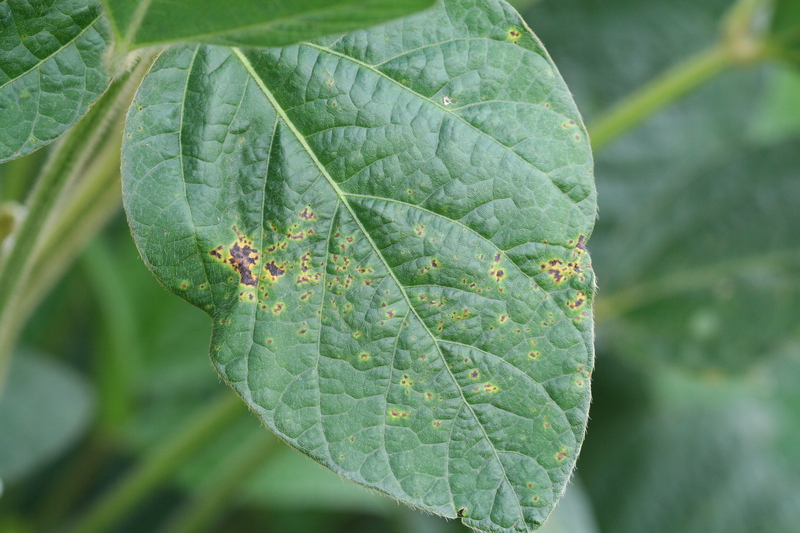 Tattering of leaves occurs as bacterial blight lesions grow together. 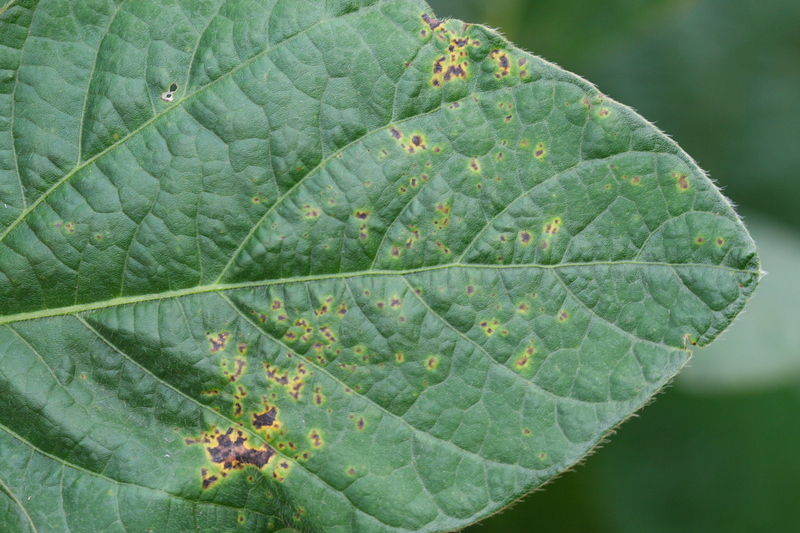 Bacterial blight is usually one of the first foliar diseases to occur on soybean. Young leaves in the upper canopy are most susceptible to bacterial blight. 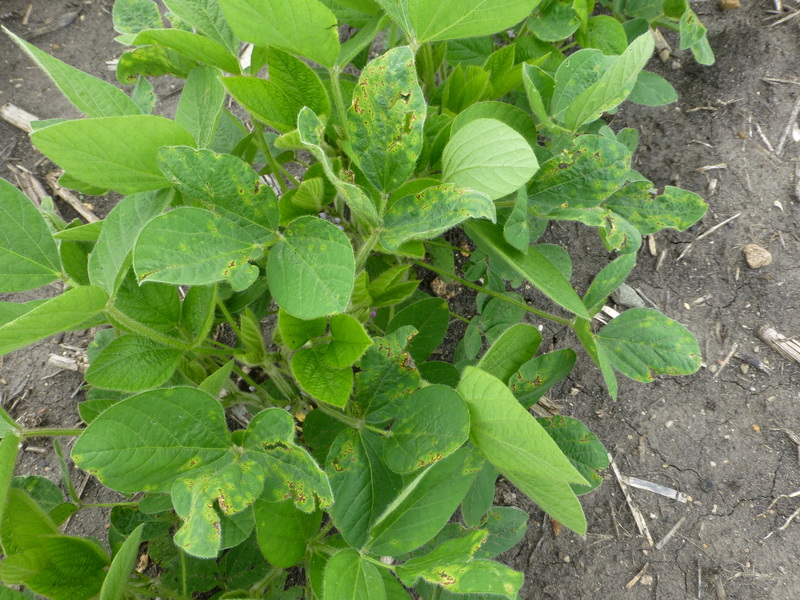 Bacterial blight seldom causes serious yield loss. 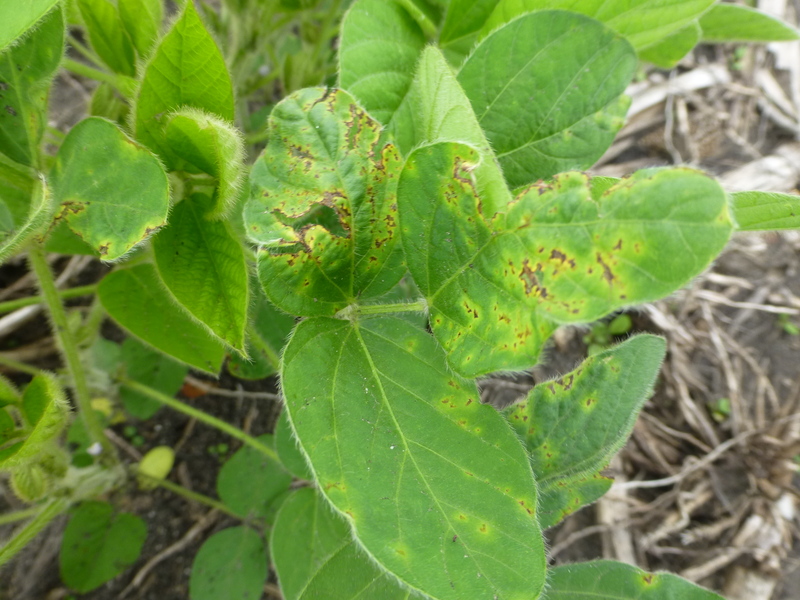 Small, angular, reddish-brown lesions surrounded by a yellow halo are symptoms of bacterial blight. 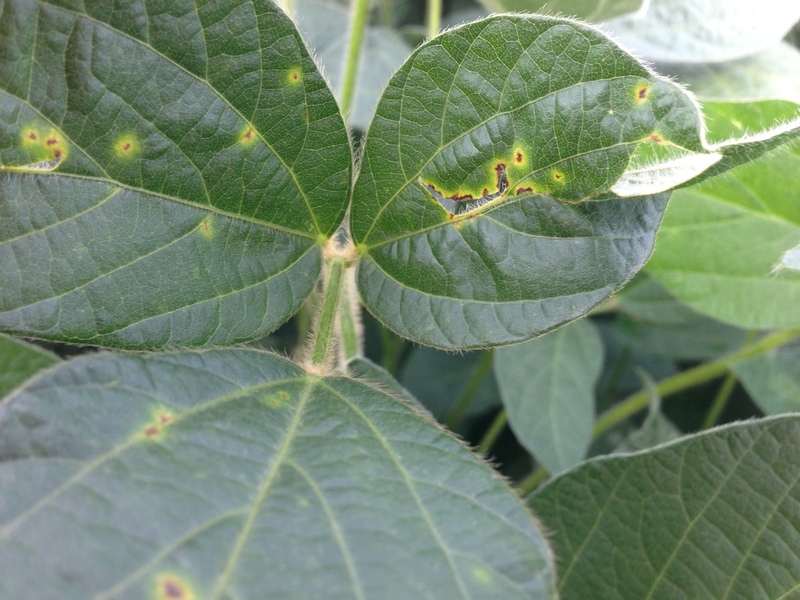 Centers of older bacterial blight lesions frequently fall out.